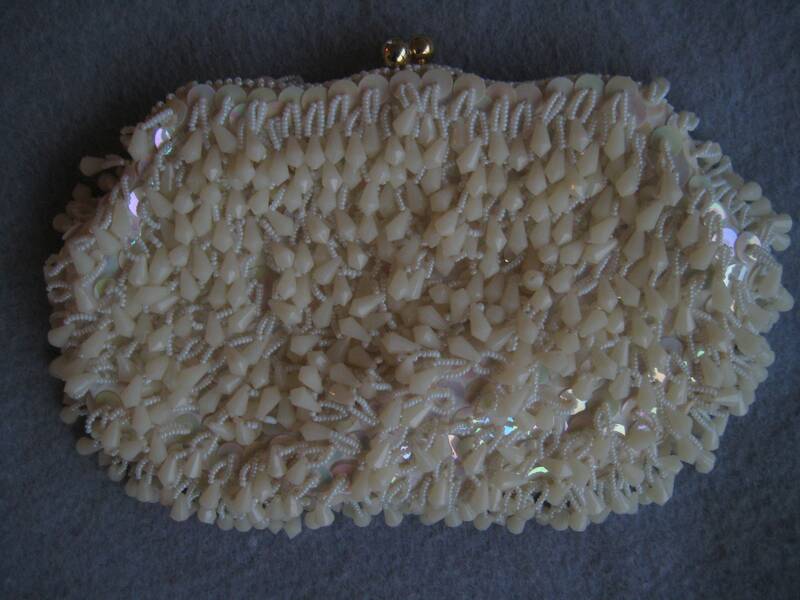 Three dimensional vintage evening bag. 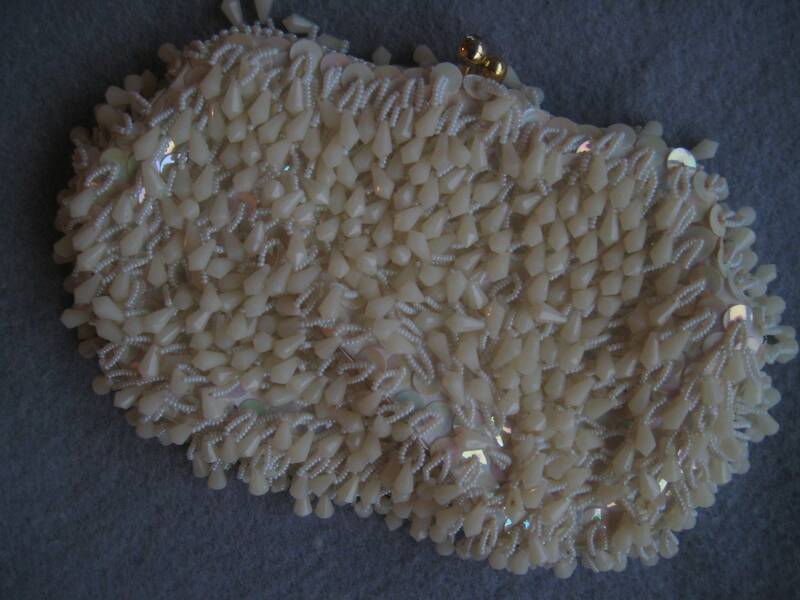 White polyester satin body with three layers of sequins and beads! Quarter inch iridescent sequins layered with white bead strings and Lucite chandelier beads! Bangly charm! Gold tone metal frame and kiss lock closure. Gold tone metal snake chain handle with a 6 inch drop. 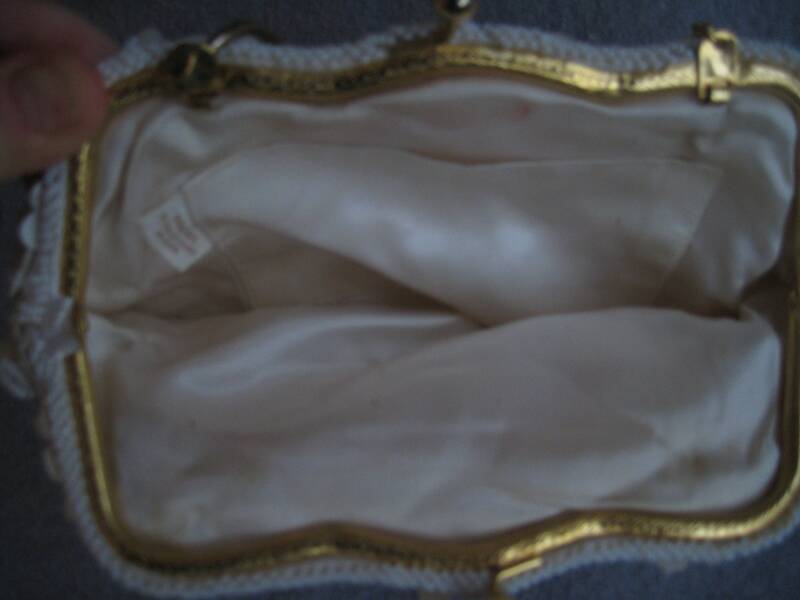 Chain folds into bag to use as a clutch. Polyester satin lining with one patch pocket. Easily holds a smart phone and essentials. 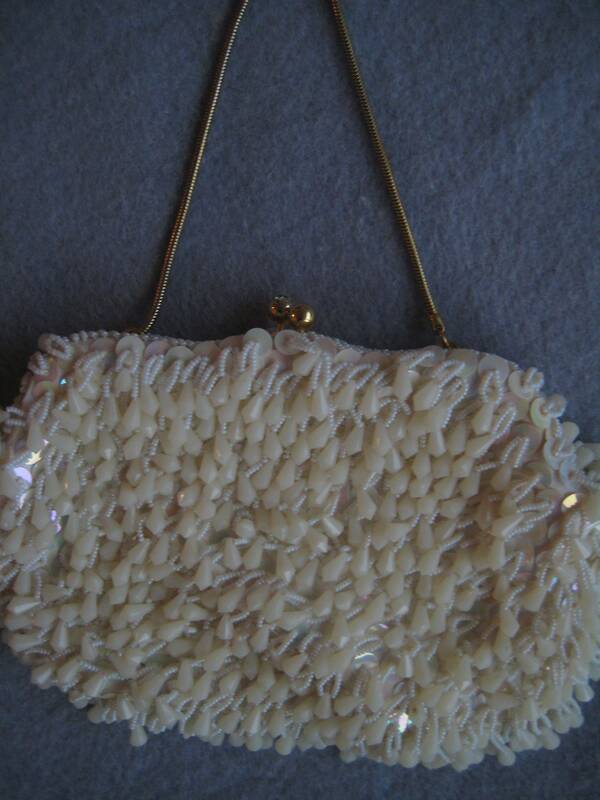 Hand made in Crown Colony of Hong Kong label. Dimensions: 8 inches long x 5.5 inches tall.